Description: A huge beautifully detailed map set in a deep canyon full of hilly terrain, water ways, underground passages and a vehicle base. This ambitious map is full of surprises and could take hours just to explore. 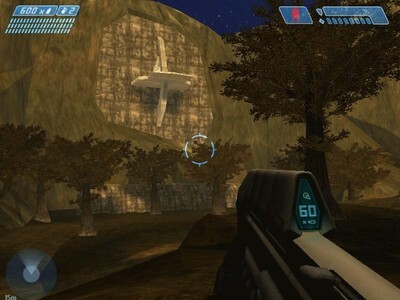 Halo Maps is impressed. Ok I finaly finished my map, after months of work. I was too lazy to correct some errors like: there is not enough clusters, the map becomes white sometimes. and there is no fog underwater. so, here it is, ejoi. -a neutral base (no team) with a banshee platform. -creasy swamp tunels that passes all around the map.